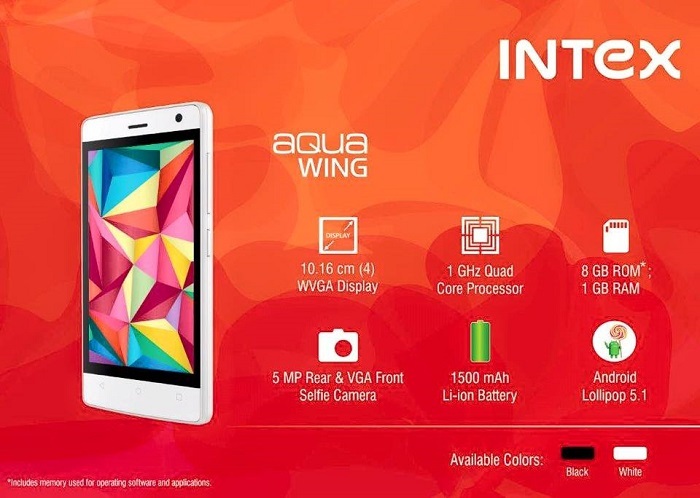 Intex has launched two new 4G smartphones in India, the Aqua Wing and Aqua Raze. The Aqua Wing is priced at ₹4599 whereas the Aqua Raze is priced at ₹5199. The Aqua Wing is a dual SIM smartphone which is powered by 1 GHz MediaTek quad-core processor with 1 GB RAM and Mali-T720 GPU. It runs on Android 5.1 Lollipop out of the box and boasts off 4-inch display. The Aqua Wing has 16 GB of internal memory on board and can be expanded up to 128 GB via microSD card. 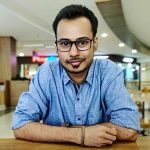 On the other hand, the Aqua Raze sports the same processor, GPU and the amount of RAM but features slightly larger display, 4.5-inch to be precise. 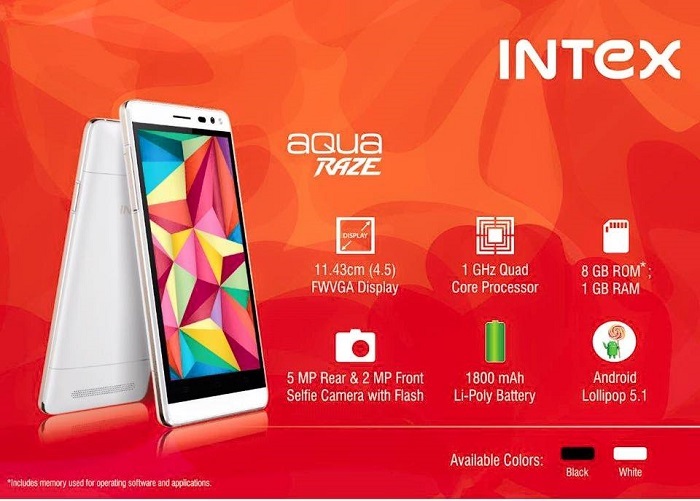 The Aqua Raze boasts off 1800 mAh battery and runs on Android 5.1 Lollipop as well. Which one of the two would you buy?